Nixie tubes make a great addition to almost any project and Raspberry Pi enthusiasts looking for an easy way to add the retro style display to their next Raspberry Pi project may be interested in the Raspberry Pi Nixie Tube Shield HAT created by Marcin Saj. A DIY designer, who specialises in designing and creating kits for self assembly. Watch the video below to learn more about the Nixie HAT allows a Raspberry Pi board to connect any Nixie tube you want. The awesome Nixie Shield HAT for the Raspberry Pi mini PC takes the form of a is a modular circuit board designed according to Raspberry Pi HAT specifications. The Nixie Shield allows any Raspberry Pi board to connect any Nixie tube and is compatible with the Raspberry Pi 1B+, 2B, 3B, ZERO, Zero W mini PC systems. Driving nixie tube by Raspberry Pi is very simple. The Nixie Shield use only five Raspberry Pi pins. All code and details are available via GitHub. 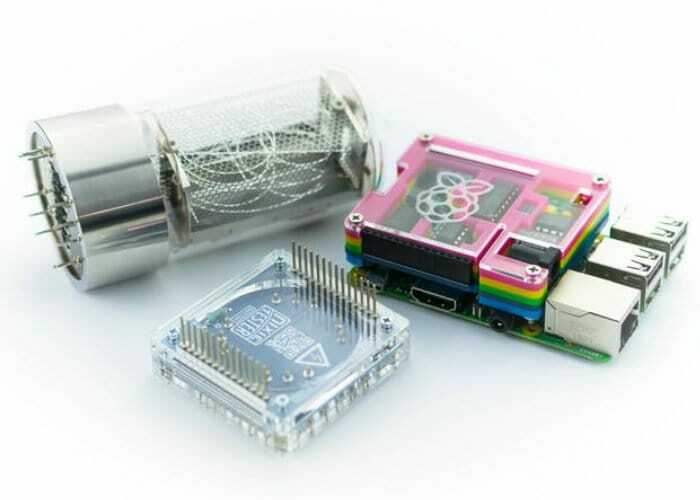 For more information and full instructions on how to set up your very own Raspberry Pi Nixie Tube Shield HAT on your Raspberry Pi mini PC jump over to the Hackster.io website by following the link below.